Hoping to avoid the dreaded "I'm bored" this winter? Here are some great ideas for the kids (and the young at heart). This is a great opportunity to give your child a feeling of accomplishment as well as create lasting memories. Whether it's a light or heavy snowfall, take advantage of the fresh powder, and build Frosty together. Be sure to dress him up! Go classic with hats, mittens, a scarf, and a carrot nose, or let your child's imagination take the lead and dress the snowman as they please. Afterwards, warm up inside with some hot chocolate as you admire your new creation from the window. It's time for a wintry family feud! Create two forts and stock up on snowballs behind your fort. Once each team is ready, battle it out with a lively snowball fight. You may want to create rules ahead of time to minimize possible injuries (ex: no targeting heads or other sensitive body parts, no throwing at full force, etc). After all the action, call a truce and head inside for some warm soup. Sharpen those skates! Albany has a public ice rink with skates available for rent at Empire State Plaza. Windham Mountain in the Catskills and Whiteface Mountain in Lake Placid also offer outdoor ice skating rinks. Prefer to skate indoors? Head about a half hour north of Albany to go indoor ice skating at the Saratoga Springs Ice Rink. Have a good laugh as you slide down the mountain! 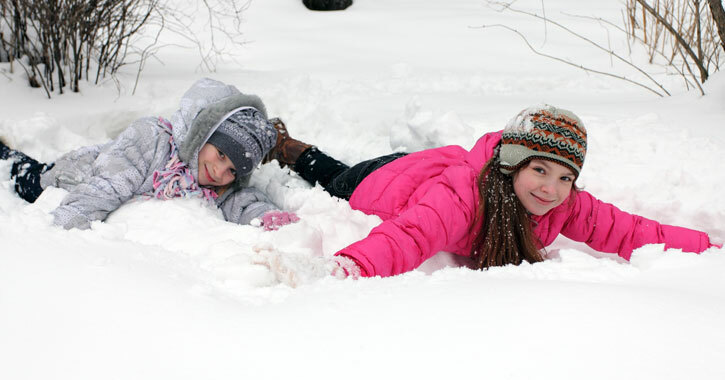 Snow tubing is your opportunity to be a kid along with your children. A handful of ski mountain resorts also offer tubing, including West Mountain or Gore Mountain in the Southern Adirondacks, Willard Mountain in Greenwich, and Windham Mountain in the Catskills. Who doesn't enjoy skiing - and the hot chocolate afterwards? Even if your child has never been, there are equipment rentals and beginner options that will have them learning in no time. Check out a local mountian like Maple Ski Ridge in Schenectady. Plan ahead and look into lessons and watch your child ski or ride with pride.